Return private tranport from ist international airport. Full Day City Tour.transport air condition/ guide. Princess Island tour.transport/cruise for bayukada/horse drawn carrige. Istanbul Grand Bazaar and Egyptian Bazaar Shopping Tour,pick drop/guide. Modern Art Tour of Istanbul: Istiklal Street, SALT Galata and Istanbul Modern Art Museum.fee/guide. 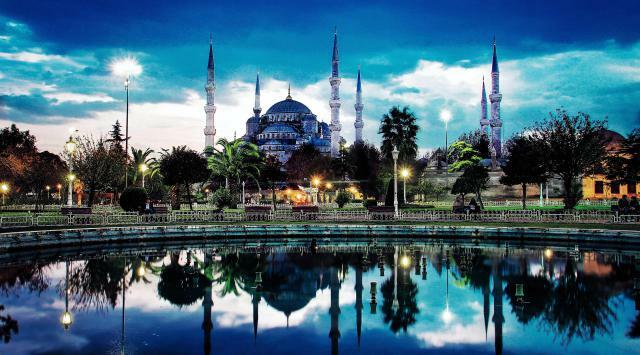 Full Day Asia and Bosphorus Tour, transport/cruise on bosphorus/visit to beylerbeyi place and camlica hill/lunch. Visa support and fee 9850/-PKR. International Air Ticket LHE-IST–LHE on Turkish Airlines approx. 70880 PKR. Bursa Day Trip from Istanbul.transport/ entrance fee/massage 68 usd per head. All Prices are on Per person in Double or Twin room Sharing Basis . Orion Travel & Tourism Services will not be responsible for the inability of the applicant for not being able to travel due to denied boarding, offloading,deportation, cancellation of flight/any delays or any other circumstances leading to non- utilization of Package.